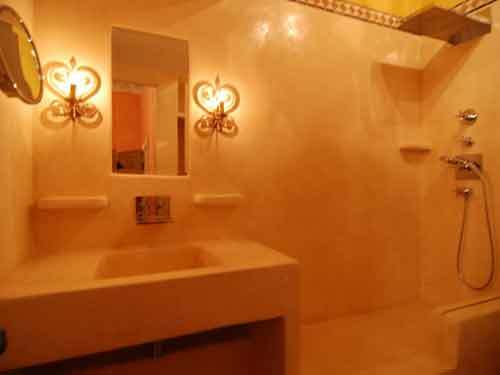 Owing to our Tadelakt for bathrooms services, your traditional premises will be remodeled into an actual Hammam Moroccan Spa, featuring a high waterproof capacity and a strong support against humidity, added to it a luxurious, high-quality and a modern glamour and shine. 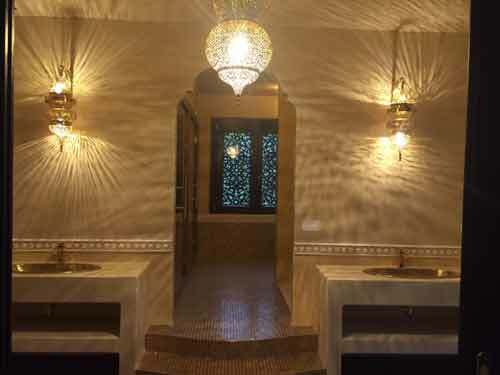 Even if you are at no position to design a plan for your shower or bathtub, there is a wide range of designs and colours in our galleries and our creations right at your fingertips suited to meet all your expectations, and hence, a beautifully adapted concept is thus presented to you making your dream Hammam become a reality. Tadelakt is therefore, an alternative solution to the tiled ground in Hammam, since it has proved its effectiveness against water, and its increased airtightness through the many years of its use. This coating furnishes your bathrooms or shower with an authentic and a welcoming touch as a consequence to its gentle nature perfectly adapted to places intended for personal body care, revitalizing relaxation and enhanced sensuality. In addition to all of the above, this coating further adds a charming artistic adornment to all your curved walls. 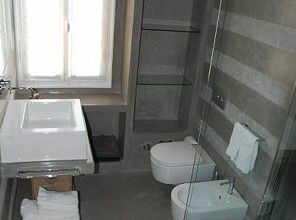 You can also take a look at our photo galleries that are now at your disposal on-line so, as to be inspired and thus, facilitate the decision to apply an appropriate Tadelakt to your bathroom as well.